When Mary Frances Schervier was 16, her mother and sisters died from tuberculosis, a highly contagious disease at the time. So when Frances told her father she wanted to visit the poor and the sick in their city of Aachen, Germany, he was worried that his daughter might bring disease into their home or grow ill herself. He told her she could not perform this act of charity. Frances was torn between her need to obey her father and her desire to serve others. Even as a young girl she had been inspired by the example of St. Francis of Assisi. So she began to help a parish priest who ran a soup kitchen for the poor and quietly managed to make her sick calls while doing this. When Frances’ father died and she was left alone in the world, a family friend told her that she was called to serve God, but that God would show her in whose company she would do this. She believed that this meant she was to become a nun and thought perhaps to join the Trappistine order. 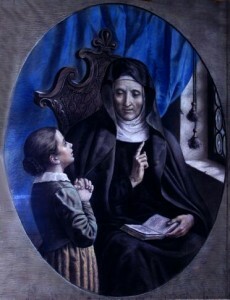 But rather than join an existing convent, Frances and four other women started their own religious order to care for the poor, the Poor Sisters of St. Francis, on Pentecost in 1845. They took sick people into their own homes to care for them. They opened more soup kitchens. They visited women who were in prison. Since Frances insisted they use only donations to do this, the Sisters were very poor themselves. Frances, who was only 26 at the time, wanted the Sisters to be as poor as the people they helped. The number of Sisters grew quickly, despite the sacrifices they made. Soon Poor Sisters of St. Francis went to the United States to help German immigrants in New York, New Jersey, and Ohio. 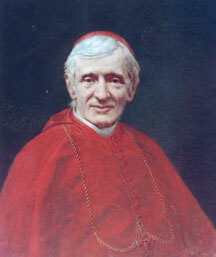 Mother Frances, as she was then known, opened hospitals in Europe and the U.S. for people suffering from tuberculosis. In 1863, she came to the United States to help her Sisters help American soldiers injured in the Civil War. 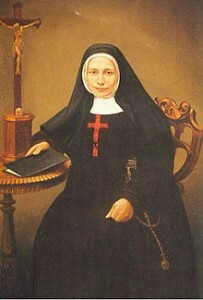 Mother Frances Schervier did in 1876. In the 31 years since her congregation had been formed, the number of Sisters had grown to 2,500! 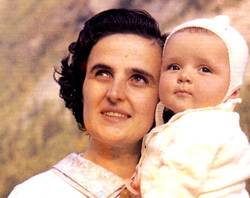 She was beatified by Pope Paul VI in 1974. Frances Schervier saw the face of God in every poor and sick person she cared for.